Herman Bavinck: Pastor, Churchman, Statesman, and Theologian, Ron Gleason, Phillipsburg: P&R, 2010. Paperback, 511 pages, $29.99. 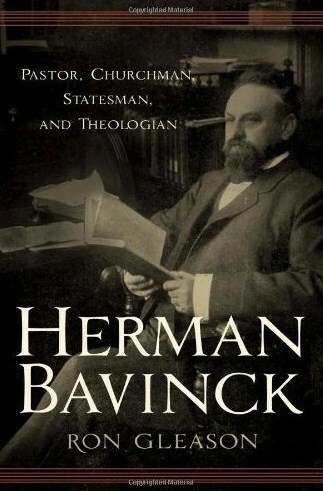 Over the last decade we’ve seen a surge of interest in the great Dutch theologian Herman Bavinck (1854-1921). With the translation of his monumental four-volume Reformed Dogmatics, the English-speaking Reformed world is finally coming to recognize the valuable contributions of Bavinck to theology. His influence upon men like Louis Berkhof and Cornelius Van Til was legendary, but now the evidence is readily available to everyone. The only thing missing has been a book-length biography of this giant. We’ve had some biographical essays in various books and journals, but nothing to compare with what has been available in Dutch. Ron Gleason’s volume has therefore been much anticipated. Gleason himself has a unique biography that qualifies him for writing this work. He is an American, but his theological training includes time spent at the Free University in Amsterdam. He served as a pastor in a Liberated (Vrijgemaakt) Reformed Church in the Netherlands. His proficiency in Dutch allowed him access to both primary and secondary sources for the research of this biography. Canadian Reformed readers may remember Dr. Gleason for his years spent pastoring the Bethel Canadian Reformed Church in Toronto, Ontario. Currently he serves as the pastor of the Grace Presbyterian Church (PCA) in Yorba Linda, California. It’s not my intent to rehearse Bavinck’s biography here in this review. It will suffice for me to say that Gleason covers the full breadth of Bavinck’s years. He surveys his family background, his upbringing, his theological education, his marriage and family life, his first and only pastorate, his years teaching at the seminary in Kampen, his time at the Free University in Amsterdam, his role in various church disputes, and his political involvement. There’s a lot of detail and the story is generally well-told. A couple of highlights: Bavinck visited Toronto in 1892. Gleason reports on Bavinck’s impressions of what was then known as “Toronto the Good”: “The Puritanical principle dominates there visibly and clearly” (148). Later in life, Bavinck made another trip to North America and this included a brief visit with U.S. President Theodore Roosevelt (361). We often read biographies not only to give us a sense of who a person was, but also to understand the issues of days gone by. Sometimes the issues are similar to ones we face today. In the discussions regarding a merger of the Canadian Reformed and United Reformed Churches, one of the big and (to this date) unresolved issues has been theological education. Should a united church federation have its own seminary or should this be left to outside institutions? Can we do both? Before and after the union of the Secession (Afscheiding) and Doleantie churches in 1892, Herman Bavinck also dealt with this issue. He taught at the federational seminary in Kampen for many years. But yet he also had many friends and contacts within the Free University in Amsterdam. Later, with matters still unresolved, he went to teach there. These were thorny issues then and they remain so. Bavinck’s biography provides a cautionary tale about what happens when church unions are forced without resolving real differences. There is nothing like Gleason’s book in English. For that reason alone, it needs to be in the hands of pastors, aspiring pastors, scholars, elders, and interested lay-people. However, not only will people with a theological bent benefit, but also those with an interest in politics. 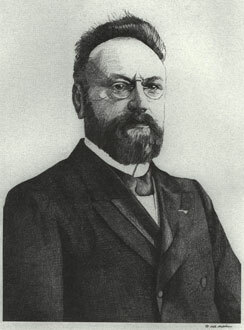 Towards the end of his life, Bavinck served as a politician. He was elected to a position in the Dutch government and gave careful thought to the application of Christian principles to the political realm. Unfortunately, the book does have some problems. There are numerous typos and formatting errors. The footnotes (especially the biographical ones) are sometimes repetitive, as is the text. Sometimes the book suffers from a lack of clarity. As an example in chapter 16, Gleason deals with the question of whether Bavinck changed theologically later in life. Initially, he says that Bavinck didn’t change (399). But then three pages later, the answer becomes “yes and no” (402). A sharp editor would have caught this. Basically the problems in this book boil down to poor editing. My hope is that a second edition will someday resolve these infelicities and make a good book even better. Despite those foibles, I enjoyed this biography. Gleason’s writing is lively and there are often humorous moments. Most importantly, he loves Bavinck and it shows. The book concludes with several appendices including summaries of two sermons by Jan Bavinck (Herman’s father) and a summary of Herman Bavinck’s inaugural address when he began his career at Kampen. I’m glad to see that English-speaking readers can finally get the full story of this imposing and multi-faceted figure in our Reformed church history. Will the Canadian Reformed Churches succumb to the spirit of the age? If the experience of the CRC is indicative, this question will be answered by what parents tolerate in our elementary and high schools, whom we allow to teach at our seminary, the questions that are asked of seminary students/graduates at classis exams (and how the answers are evaluated), and where we send our children for post-secondary education. Must I mention more names? Must I speak of Herman Bavinck who absorbed all the wisdom of liberal Leyden of his days and kept his faith, faith in an infallible Bible? 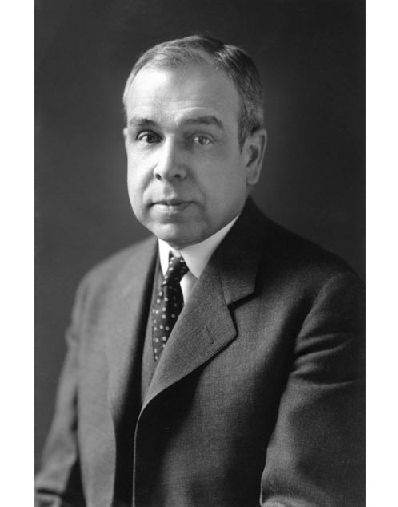 Must I mention Gresham Machen who absorbed all the wisdom of liberal Germany in the beginning of our century and wrestled with it until he had conquered it and then became that outstanding champion of truth? Machen wrote, “I hold that the biblical writers, after having been prepared for their task by the providential ordering of their entire lives, received, in addition to all that, a blessed and supernatural guidance and impulsion by the Spirit of God, so that they were preserved from the errors that appear in other books and thus the resulting book, the Bible, is in all its parts the very Word of God, completely true in what it says regarding matters of fact and completely authoritative in its commands” (The Christian Faith in the Modern World, 36-37). The point is again that not the valiant Machen wrote those words, but that Machen, who wrestled with all the intellectual problems which then and now are brought in against inerrancy and had conquered them, wrote those words. Must we draw the conclusion now that Augustine and Calvin, that Kuyper, Bavinck and Machen, not to mention many more, belonged to a certain kind of Reformed tradition which should be described in Dr. Boer’s words as “an unprincipled ruthless exercise that bends any desired Scripture in its foreordained meaning”? Mind well what Dr. Boer means: he wants to tell us that those men made use of their own logical foreordination, not of that of God. We should not draw that conclusion. We should say that those theologians had escaped from that rationalism which wants to mould and model Scripture after a pattern of time-bound human logic. Their eyes had been opened to the limits, the defects, often the arrogance of that human logic. They knew that even the best-informed human scholar does not know everything. Those “best-informed scholarly theologians” are now referred to as form-critics. They always speak about documents which they can never produce. They always refer to a tradition-behind-a-tradition which they construct with all the ingenuity of first-class detectives. They are the professionals who know – know what? Next year they will tell you which hypotheses are more probable than those of last year. You Can Pray to Christ! While he was being stoned to death, we hear Stephen praying, “Lord Jesus, receive my spirit” and “Lord, do not hold this sin against them.” Stephen prayed to the Lord Jesus and in the centuries to follow, thousands of martyrs would repeat his prayer. In 1 Corinthians 12, we read of how Paul prayed to the Lord Jesus and pleaded with him to remove the thorn in his flesh. In 1 Corinthians 16:22, we read the brief prayer of Paul for the coming of the Lord Jesus, “Maranatha! Come, O Lord!” The apostle John echoes that prayer in Revelation 22:20, “Amen. Come, Lord Jesus.” If the apostles and early Christians prayed to the Lord Jesus and their example is in the Bible, certainly we also have that freedom. This morning as I was preparing my notes on Volume 2 of Bavinck’s Reformed Dogmatics, I noticed that he commented on this as well: “…the Holy Spirit dwells in and among us, with the result that our prayers are directed more to the Father and to the Mediator than to him” (311). Notice that Bavinck speaks of directing our prayers to the Mediator — and this is fine. It’s also okay to pray (and sing) to the Holy Spirit, though it would not be our regular practice. Wherever this thinking came from, it didn’t come from Bavinck. For those who do think that it is sinful to pray to the Lord Jesus, I would want to ask: which commandment is being broken? Further, if it is sinful to pray to the Lord Jesus, then it is also sinful to sing to him — in which case the Canadian Reformed Churches (and other Reformed churches) are living in sin and should be called to repentance. Finally, I am convinced that this line of thinking contributes to the depersonalization of the Saviour. It robs our faith of vitality. By saying that it is a sin to speak with him, we are in danger of making him into an abstract concept rather than recognizing him as a person and treating him as such. Think about it: what sense does it make to have a Mediator with whom you’re not even allowed to speak?